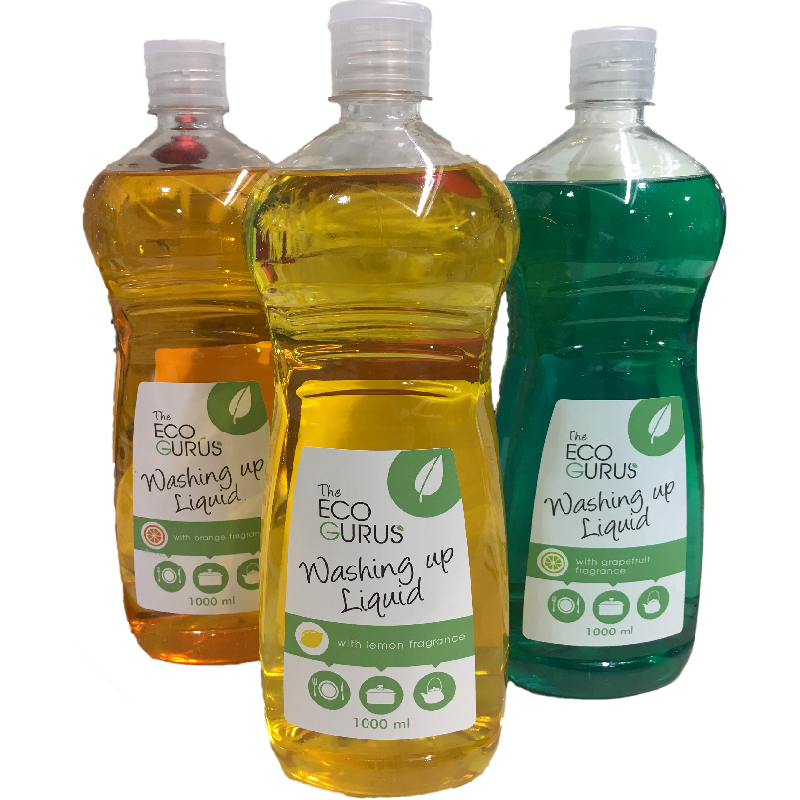 The Eco Gurus Dishwashing Liquids clean effectively and give a beautiful shine to your dishes. Our dishwashing agents are very efficient and extremely economical in use. They are effective against grease and crusts but gentle to the skin and delicate dishes. Usually, a little splash is sufficient for cleaning numerous table settings. 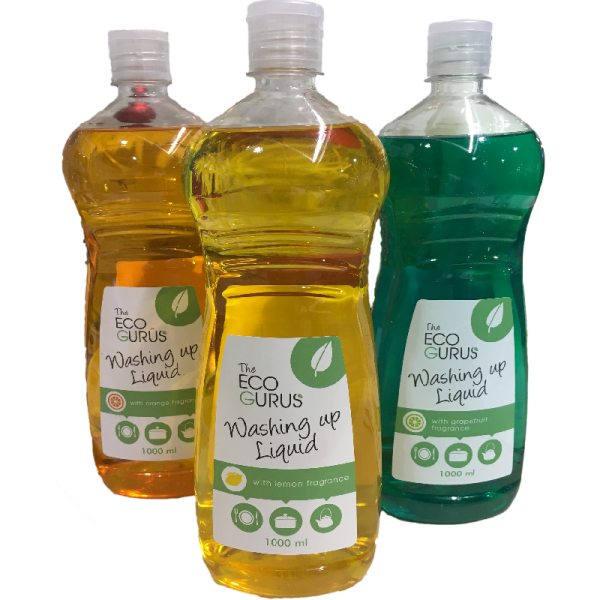 They come in three fragrances: Orange, lemon and grapefruit.